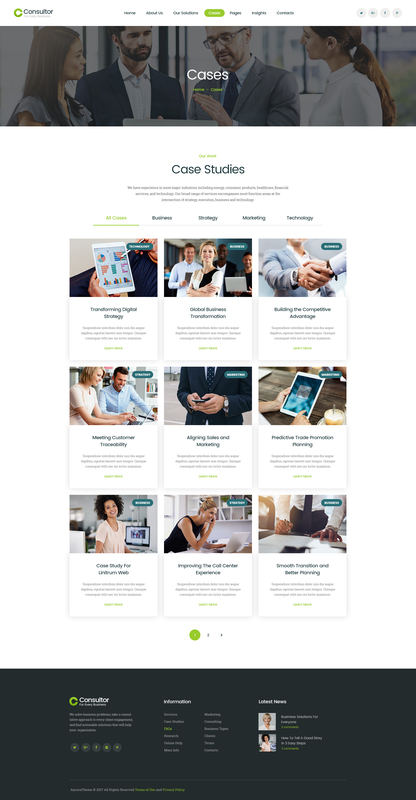 Consultor is a stylish & responsive Business Consulting WordPress Theme. It is designed for company, firm & agency that offers business consulting, investment advising, and tax assistance to corporate and individual clients. Also, it is perfect for financial and law company, consultant and individual tax/finance advisors. 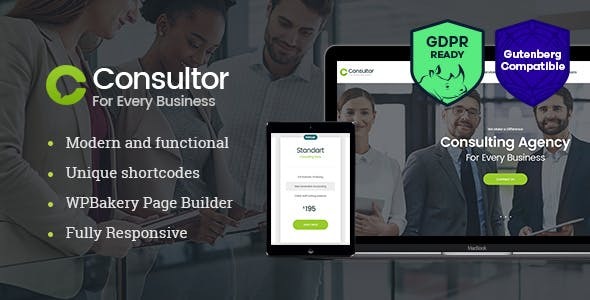 Furthermore, Consultor is designed as a multi-purpose business template, so you can use the theme to build any corporate website. The full-featured theme is supplied with a collection of powerful shortcodes and widgets, for easy use and capacity. Premium drag and drop page builder from WPbakery makes the customization work quick and easy. Consultor is SEO friendly and offers Contact Form 7 support for your users to be about to sign up. It is super fast and entirely responsive with full cross-browser compatibility. - Gutenberg compatibility is added.